While most business owners and managers understand that people are different, including their employees from one to the next, and their employees when compared to themselves, this often takes on a negative connotation. Different is viewed as bad, or wrong. 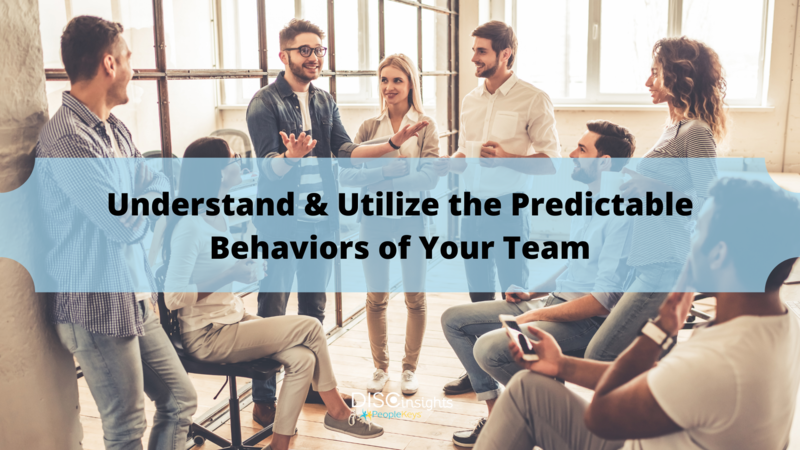 However, when you understand that people are predictably different, with personality and behavior styles which directly translate to certain preferences for job environments, communication styles, types of tasks or roles within a company, and more, then the difference between your employees can help a company thrive and reach new heights. The DISC personality assessment shows us that there are four main quadrants or variants of personality, Dominant, Influencing, Steady and Compliant. The general population breakdown is that 3% of people are classified as D's, 11% are I's, S's are 69%, and 17% are C's. These are the four main DISC personality types, and they are each either Active or Passive, and Task-Oriented or People-Oriented. When combined in different ways, you get a person who responds drastically differently to a particular conversation, assignment, task, environment, or anything else. For instance, D, or Dominant personality, is active and task-oriented. This type of individual prefers to be in charge of themselves, and likes to think about big picture goals and tangible results. They fear being taken advantage of, dislike being micro-managed or watched over, and are motivated by new challenges, having freedom of routine and the power to make decisions or take risks, setting and achieving goals, and reaching those tangible results. So what does that mean for your organization? It means that with the DISC personality test, you gain access to a wealth of information which you can use to directly increase employee performance, morale and productivity, improve communication and team building in the work place, and so much more. In regards to the individual with the D personality above, you could help that employee thrive by giving them a bit of breathing room and letting them excel and hit their targets, as opposed to handing them a two-dozen pointy daily to-do checklist, for instance. Or, during the hiring process, you can clearly see which candidate is right for which role, making the correct decision and avoiding problems down the line. Perhaps that Dominant personality isn't such a good fit for that administrative position, after all. To learn more about the DISC personality test, and to get started putting it to use for your organization, call 800.779.3472 today.